Batman v Superman: Dawn of Justice. The plot is pretty much in the title, isn’t it? We all know the Dark Knight (Ben Affleck) and the Man of Steel (Henry Cavill) will be at odds, but at least two Justice League movies have been announced, so we’re also pretty sure they’ll end up on the same side – it’s all in one of the trailers, after all. Anyone who has read a comic has seen the “heroes battle until they join forces” scenario countless times before. Does knowing that really matter, though? To some, it will. But to me, that isn’t what’s important. I don’t really care about “who will win?” I’m not on “team Batman” or “team Superman”. I’m here to see Warner Bros. and DC Comics give fans what they’ve craved for so long: a cinematic universe that’s full of familiar faces, both good and bad. Seeing how everything actually plays out and how these characters are handled is far more important than strongly suspecting that they’ll end up as friends, or at least allies. Is their conflict forced or does it feel justified? Does the eventual team-up feel like a natural development, or is it there just to blatantly get us ready for Justice League movies? I’d say those are a few of the things that really matter. Besides, we’re all on team Wonder Woman, right? First and foremost, let me say that Ben Affleck is phenomenal as Batman; he’s the best live-action Batman yet, and I say that as someone who grew up with Michael Keaton as Batman. This Caped Crusader is smart, skilled, resourceful, and downright frightening. Affleck pulls off Bruce Wayne’s charade and Batman’s imposing nature equally well. The costume design is amazing as well and I love how it’s blatantly inspired by Frank Miller, Klaus Janson, and Lynn Varley’s The Dark Knight Returns. I do have one criticism about this version of Batman, but it’s something I can’t elaborate on because it would technically be considered a spoiler. Let’s just say it’s something that’s sure to generate a lot of debate and I do feel like it’s acting out of character; however, one example of my critique is pulled straight from TDKR, so I don’t have a problem with it in that scenario. Overall though, the performance and design are exceptional. And yes, we do see Batman’s origin for the gazillionth time, but it’s shot well and the score really gives it the emotional weight it needs. Besides, it’s important for the character. I know some of you are thinking something like, “Everyone should know Batman’s story by now!” Yeah, I hear you, but it’s important to include it in this one and it doesn’t take up that much time. It is a two-and-a-half-hour movie, after all. Batman’s mission against Superman feels understandable. If you’ve seen Man of Steel, you know just how devastating General Zod’s attack was when he started to terraform the planet. As shown in the trailers, we get a look at Wayne’s experience during the destructive battle. It’s not all that long, but it sure is effective and incredibly gripping. It immediately sells you on Bruce’s bravery and helps you understand why he doesn’t trust Superman. The Man of Steel may be doing the right thing for now, but will he always be that way? This is a version of Batman who has experienced loss and seen just how much people can change. He doesn’t think about what if Superman stops being a good guy; he thinks about when will Superman stop being a hero. His experiences in Gotham have given him a bleak outlook and he’s far more brutal than any live-action Batman we’ve seen in the past. To me, the movie does a fine job making his paranoia and anger feel justified and it left me wanting to see so much more of his story. I’d have much more to say if I could give spoilers, but this isn’t that kind of review and I don’t want to ruin even a single surprise for anyone. Gal Gadot’s Wonder Woman is badass. She’s a supporting character, so you obviously shouldn’t expect to see too much of her, but they do a solid job building interest in the iconic character before she leaps into action. You can tell she’s a ridiculously formidable warrior and she loves a challenge. If the goal here was to get the general audience interested in Wonder Woman before promoting the heroine’s solo movie, I’d say they succeeded. Jesse Eisenberg’s Lex Luthor is sure to be hit or miss for some fans. It’s not the Luthor you’d expect (and that may be what disappoints some people), but I think his eccentric, clever, and devious take on the character left quite an impression and there’s definitely a lot of potential with him moving forward. The fact it’s so easy to underestimate him – based on the way he conducts himself – makes it so much more rewarding when you do see the truly evil side come out. I actually wanted to see a little more of him! There’s just enough here to get a proper amount of insight into why he’s so passionate about bringing down Kal-El. While he tries to destroy Big Blue, Lois Lane (Amy Adams) is there in an effort to lift him up. But she’s not just there to boost Clark’s spirits or be saved by him; her abilities as a journalist play a key role. The story is a little confusing at first, but it’s not that hard to put together the pieces as the story moves forward. Meanwhile, Cavill continues to do a very good job physically conveying emotion. I understand the goal is to place his character in yet another tough spot and make him question whether or not his actions really help, but I wish we saw a little more confidence and optimism shine through now that he’s worn the suit and he’s sincerely trying to help. A more compelling dialogue with his mother (Diane Lane) could have helped, or maybe even some extra talk with Lois. Alfred (Jeremy Irons) and Perry White (Laurence Fishburne) add a little bit of levity. Alfred has some enjoyable banter with Bruce and you can tell that dynamic has a ton of potential; it left me anxiously awaiting a solo Batman movie. Perry – if I can recall correctly – has an amusing comment in almost every single scene he’s in. Whether or not you find the jokes funny is one thing, but the movie definitely isn’t humorless. Not that it needs humor, but it’s worth noting there’s some thrown in there. As expected, the action’s a blast. Batman’s solo fight against a group of criminals is brilliant. The mix of his skill, tactics, and ability to use equipment on the fly was just stunning; it also shows us just what kind of punishment his standard cape and cowl can withstand. 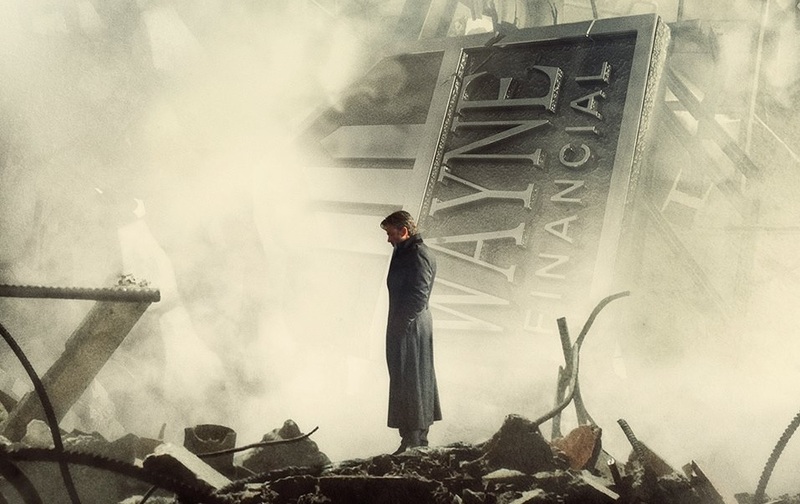 It’s without question the best Batman fight sequence we’ve ever seen on the big screen. The way it’s shot allows us to appreciate the choreography and the seriously harsh impact behind many of the attacks. As for Batman’s fight with Superman, it’s downright savage at times. It delivers big time as an action scene, but I really wish one of the characters sincerely attempted to talk it out before things got especially vicious. It does bother me that a stronger effort wasn’t made to talk. I get why it plays out the way it did, but I wish it was handled differently. That’s really all I can say about that without potentially spoiling anything! And when it comes to the final fight, the experience of seeing all of these characters engaging in a single fight made this fan giddy. Some of the close-up shots were a little hectic and it’s obviously relying on a lot of blatant CGI, but for me, the sheer joy of seeing this play out made up for some of my minor criticisms about the way the fight was executed. Holy fan service, Batman! (Sorry, couldn’t resist.) There’s sure to be debate over how the two primary characters are portrayed in this movie, but there’s just no denying that the movie gives a lot of nods to various comics. For the sake of being spoiler-free, I won’t get into any details, but the source material love is blatantly obvious if you’ve read a number of iconic DC stories. There’s also one sequence that feels like pure fan service. Seriously, it’s like what you’d expect from a post-credits scene. Hans Zimmer’s music in Man of Steel is phenomenal. Now, he’s joined by Junkie XL. Some of Man of Steel‘s signature music returns and has updates, but there’s also noticeably different themes for Lex Luthor and Wonder Woman. Both feel totally appropriate, with Lex’s being more sinister and Wonder Woman’s being perfect for a warrior heading into combat. The music does an excellent job complementing each scene, but you really wouldn’t expect less after hearing Man of Steel’s soundtrack, would you? Batman v Superman: Dawn of Justice does an awesome job introducing Batman to this world and it absolutely got me excited for what’s to come. There are so many nods and teasers, and I think the film’s first hour or so really captured my interest. I do have two personal criticisms with the movie, but I’m left still trying to figure out just how significant they are. The movie gets plenty right and there’s a whole lot of fan service, but I can’t really shake two things from my mind. It’s important to note that both of those things exist because of my preconceived notion of these characters. This is the same thing that made Man of Steel – a movie I love – such a polarizing film. Now that Clark Kent has finally become Superman and exists in this evergrowing world, I found myself holding the character to a higher standard and being more critical of how he acts – the same goes for Batman (because of his intellect, talent, and resources). Overall, I do like the movie a lot and I want to see it again, but there’s a lot to really think about, and I do find my opinions slightly changing as I think more and more about the themes. It’s a movie I’ve been thrilled about for two years, and there sure is a lot to absorb. Whether you love or loathe Man of Steel, I think you – assuming you’re a fan of the DC Universe – should see Batman v Superman because this is where the DC Extended Universe finally starts to expand. Maybe it’ll win you back over, maybe it won’t. But BvS kept this fan entertained, and it’s most certainly a movie that’ll occupy my mind for quite some time to come. It entertained me, but I didn’t enjoy it like I should have. The visuals were stunning, the acting was wonderful and the story underwhelmed. Not a but, since I will say I liked the film. Perhaps when things cool down, I might watch this film again (good on you for doing so repeatedly), but as it stands, it could have been a lot better, and easily so. Perhaps that is why I feel so disappointed? I don’t know. The mistakes were so damn obvious. To me, any way. It almost feels lazy they weren’t fixed prior to release. Which grates. Thanks for your review, Gregg. As always, your clarity is appreciated and your sincere approach as a fellow comics fan (and fan in general) will always be sought after.